Designer Keith Brymer Jones original large Bucket Mug (500ml) with “big drink” hand-pressed into the raw porcelain, creating subtle, unique differences between every single piece in Keith’s Word Range of designer homeware. Part of the Keith Brymer Jones Word Range. 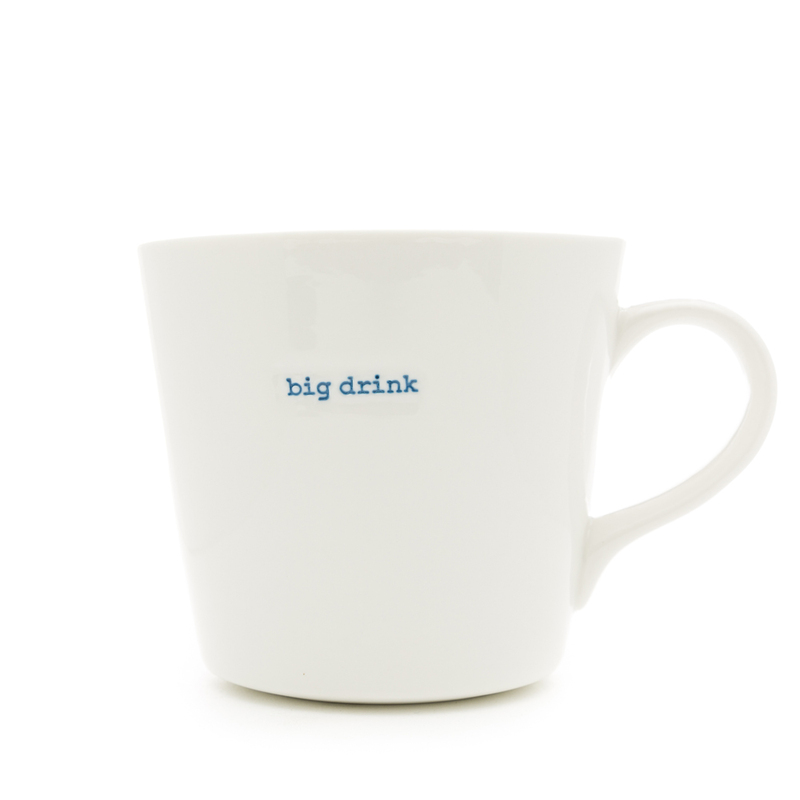 A stylish large designer mug with a hint of retro from Keith Brymer Jones’ popular Word Range. This 500Ml capacity bucket mug, so named because its shape was inspired by a vintage water bucket in Keith’s Whitsable pottery studio, makes a wonderful gift or simply a treat for yourself. The words ‘big drink’ has been hand-stamped into the super white porcelain in a typewriter font. 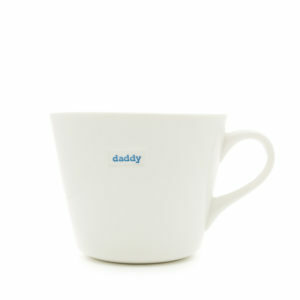 Meticulously crafted from super white porcelain, this bucket mug is hard-wearing and dishwasher and microwave safe.